• In Arizona, emergency department cases related to opiate misuse or abuse increased 118 percent from 2005 to 2012. • In 2013, 6.5 million Americans reported using controlled substance prescription drugs for non-medical purposes. • 80 percent of all heroin users reported using heroin after they became addicted to prescription drugs. • Arizona ranks sixth in the nation for prescription abuse. 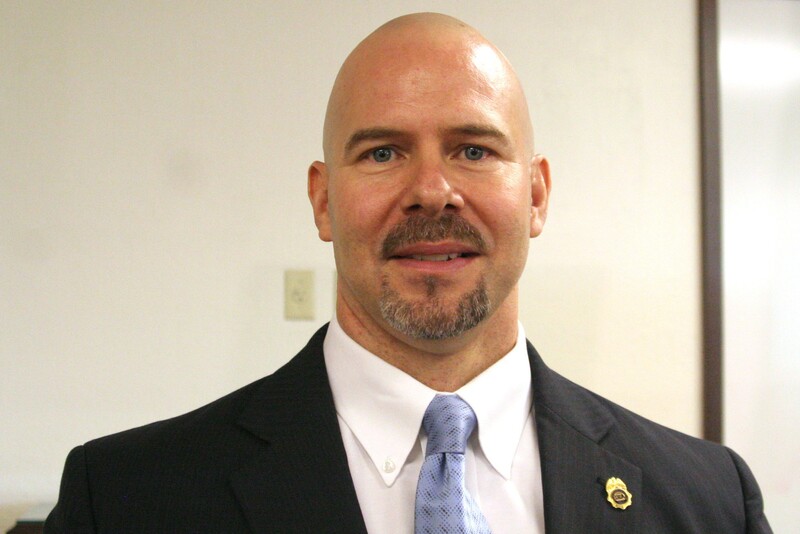 PHOENIX – A challenge in trying curb illicit prescription drug trafficking is that people who have tips are afraid they will be identified and harmed, the Drug Enforcement Administration’s top official here says. “A lot of people have a little bit of animosity or fear of calling us directly because they are afraid that something may happen to them,” said Doug Coleman, DEA special agent for Phoenix. Because prescription drugs are often a gateway to heroin use, he said, those fears make it more difficult to combat the epidemic use of that drug. 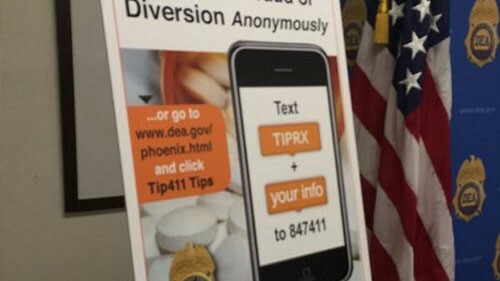 At a news conference Wednesday, Coleman announced TIP411, which features a technology allowing doctors, nurses, pharmacists and others with knowledge of illegal prescription drug transactions to submit tips anonymously via text (to TIP411, using the keyword “tiprx”) or a form on the Phoenix DEA website. “We don’t know who they are; we just take the information they are providing,” Coleman said. Agents who receive the anonymous tips will research the information and decide if it warrants further investigation. Citing a 2013 report, Coleman said 6.5 million Americans reported using prescription drugs for non-medical purposes. The drugs are especially popular among young people because of the common misconception that they are safer than other drugs, he said. “They think they are OK because the doctor gave them to Dad when he had his knee operated on and it killed his pain for a while,” Coleman said. Coleman said it is important that people feel comfortable reaching out to DEA agents because the problem extends beyond prescription drug abusers. “Eighty percent of all heroin users state that they started using heroin after they became addicted to prescription drugs,” he said. Ramona Sanchez, spokeswoman for the Phoenix DEA, said that prescription drugs are often the gateway to heroin. “When people get addicted to these prescription drugs and they can no longer get them because they are very expensive, they resort to the next best thing, and that is heroin,” she said. Coleman said the price of prescription drugs on the black market has shot up. Street prices can range from $60 to $80, but heroin can be purchased for far less. Coleman said the goal behind TIP411 is getting the biggest dealers, who control the supply. “We are hoping to get those texts so we can target those individuals to knock them out,” he said. Arizona is sixth in the nation for prescription drug misuse - which the Drug Enforcement Administration calls a gateway to heroin - in those over age 12. Reporter Megan Thompson shows how to help stem the problem with as little as a text message. 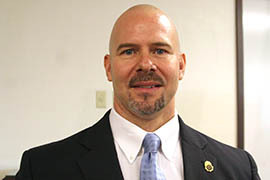 Doug Coleman, Drug Enforcement Administration special agent for Phoenix, said he hopes a new system allowing people to offer anonymous tips by text or an online form will help his office combat illicit use of prescription drugs that often leads to heroin use.